Meet our leadership team of dedicated professionals whose extensive expertise with a proven track record in all segments of ACMI wet lease, air charter operations and asset management will lift SmileAir high in the sky. For more than 30yrs Mr. Borić accrued substantial knowledge and experience covering wide array of aviation activities, in particular – ACMI Wet-lease & air charter commercial affairs, airline cost analysis, commercial agreement negotiations, aircraft remarketing and leasing, aircraft financing, engine trading, aircraft part-out, spare parts sourcing and trading, ground ops, flight dispatch, airline start-ups and project management, strategic consulting and air traffic control. Nino is member of ISTAT (International Society of Transport Aircraft Trading) since 2007, a constantly expanding network in aircraft leasing and financing community. 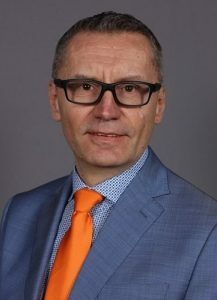 In 2001, Mr. Borić founded AviaNova, Florida based aircraft trading and consulting company operating globally with focus on Central and East European market. SmileAir is Nino’s long term dream, to build an airline established on strong foundation and top professionals with positive attitude towards airline industry and life in general. Mr. Lukač is professional pilot for almost 30 years accruing over 13,000 FH. During his pilot career Bernard worked all over the World as A320 TRE/TRI and Technical pilot, mostly in Star Alliance member Croatia Airlines. Last eight years Capt. 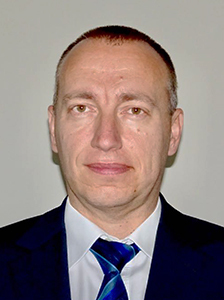 Lukac worked for Croatian Civil Aviation Agency as Flight Ops Inspector and EASA OPS Team Member. Recently Bernard opted to pursue different career options including establishment of new airline in Croatia. Capt. Lukač's reputation in Croatian and Central European aviation community is immense, thus we find his expertise, especially in aviation regulation and company culture development as one of the keys to the project overall success. Airbus A320 captain and technical pilot with over 9000 flight hours experience accrued over last 15years, also worked two years for Croatian CAA as Flight Operations Inspector. Capt. Djumlija will contribute through extensive knowledge of mainline/LCC/ACMI airline flight operations and training, from operational and regulatory perspective, as well as safety and quality management. His experience as technical pilot and test pilot after heavy maintenance for almost 5 years is a huge foundation in setting high safety standards in operation. Kruno is methodical, hard-working and goal oriented individual working well in a team and as a leader. Used to work in the most difficult circumstance and under pressure. 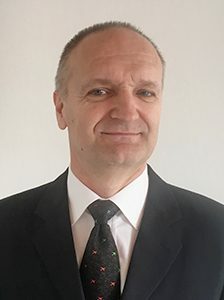 Over ten years of his career flying in Croatia Airlines, as well as in LCC/ACMI operator - Limitless Airways, plus two years in Croatian CAA as Flight Operations Inspector.